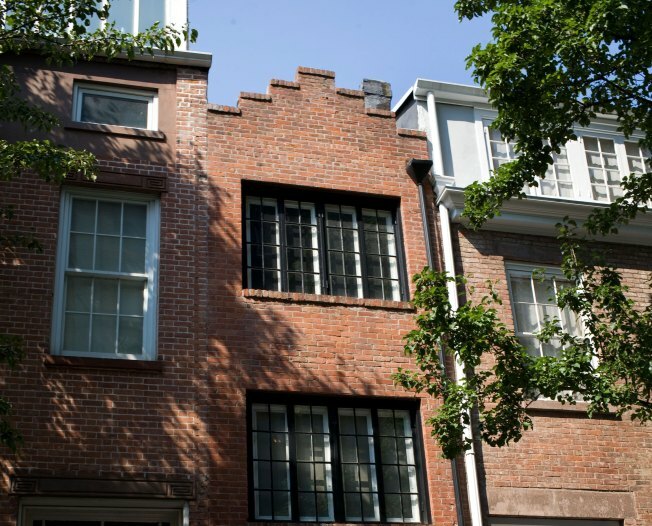 The narrowest house in New York City, located at 75 1/2 Bedford Street in Greenwich Village. It is 9 1/2 feet wide and 42 feet long and its asking price is $2.7 million. How much is too much to pay for a house that's barely wider than your living room sofa -- even if that house is on one of the quaintest blocks in the West Village? At only nine feet wide and 42 feet long, 75 1/2 Bedford Street is billed as the city's narrowest house. It's now on the market for a cool asking price of $2.7 million. The building was built in 1873 and has a storied history -- literally. Poet Edna St. Vincent Millay and anthropologist Margaret Mead once called it home. The three-story structure boasts plenty of light with large windows in the front and back, and a skylight. The current owner bought it in 2000 for $1.6 million.